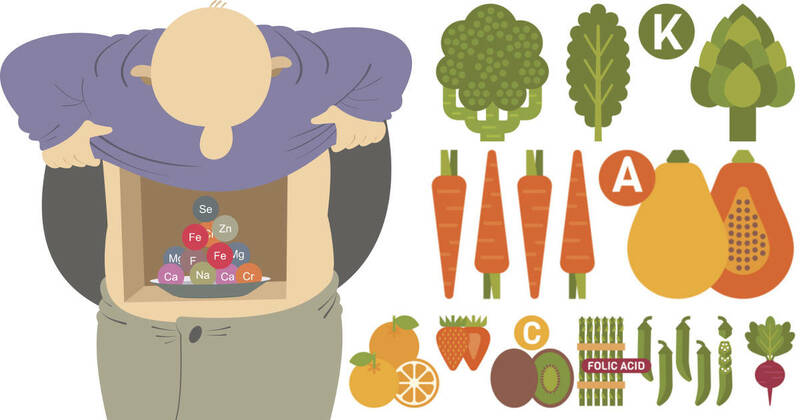 No matter who you are, your body needs a variety of vitamins and minerals to stay up and running. 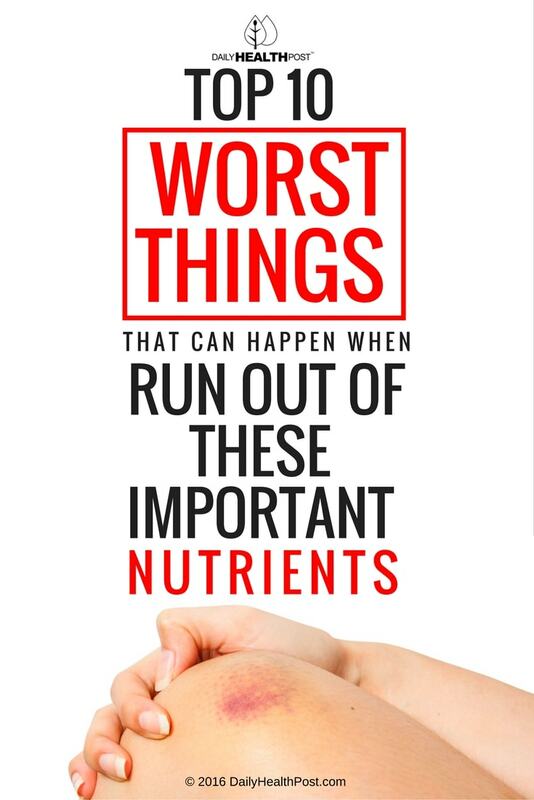 If you don’t get enough of these crucial nutrients, you will likely start to show symptoms. Below you’ll find ten signs that may indicate various nutrient deficiencies. Chipped or flaky skin(1) at the corners of your mouth may indicate that you’re not getting enough zinc, iron, or vitamins B2, B3 and B12. If you think you might be deficient, make sure to stock up on foods rich in these essential nutrients. These include sundried tomatoes, poultry, salmon, eggs, lentils, tahini and peanuts. Keep in mind that vitamin C helps your body absorb iron, so add a variety of fruits and veggies to your grocery list for good measure. Known as the “hair vitamin,” biotin (water-soluble vitamin B7) is essential to your body’s health and functionality(2). If you’re deficient in biotin, you might notice a scaly red rash breaking out around your eyes, mouth and nose. Another symptom is brittle hair and eventual hair loss. If you notice any of these symptoms, you can take supplements, but an easier solution may be to eat lots of bananas, avocados, mushrooms, Swiss chard, sunflower seeds and peanut butter. Especially when it’s in your hands and feet, a tingly sensation(3) in your body could indicate a deficiency of vitamin B12. This is because the deficiency affects your nervous system; other symptoms include tremors, numbness and balance problems. You will likely also experience breathlessness and feel lightheaded more easily than normal. If you are vegetarian or vegan, strongly consider taking supplements! Most B12 deficiencies are dietary, and since the richest sources are animal products, supplementation is often the best option. Keep your levels of magnesium up if you want to avoid stabbing pains(4) in your lower legs. As most magnesium is stored in the tissues, the discomfort caused by magnesium deficiency can show up as leg cramps, foot pain or twitchy muscles. Neck and back pains can also indicate a magnesium deficiency. To remedy this deficiency, take a bath filled with magnesium flakes. Deficiencies in vitamins A and D, zinc and omega-3 fatty acids can lead to small raised bumps(5) on your arms, buttocks, cheeks and thighs. Vitamin A is supplied in abundance by leafy green vegetables, sweet potatoes, carrots, and red peppers—basically, look for fiery reds or intense greens when you shop for vegetables. Sun exposure is the best source of vitamin D, but you can also take supplements or alter your diet to include more of the vitamin. Although rare, vitamin K deficiency(6) is possible in people of all ages. One of its main symptoms is excess bleeding when your skin is punctured or bruised. It’s rare to have this deficiency for two reasons: vitamin K is abundant in many leafy green vegetables—kale in particular—and your intestinal bacteria actually manufacture it naturally. If you take a lot of antibiotics, pay attention to your levels of vitamin K; antibiotics kill gut bacteria, making it harder for your body to produce the vitamin on its own. One of many possible causes of dizziness is a deficiency in vitamin B9, or folic acid(7). This symptom is characteristic of megoblastic anemia, the most common malady caused by a deficiency in folic acid. It’s particularly important for pregnant women to get enough folate, because the vitamin is essential to every facet of babies’ health, from healthy limbs to a healthy brain. Foods with a lot of folic acid include dark green vegetables, citrus fruits and legumes. Many disorders and deficiencies can lead to depression, among them vitamin B6 deficiency(8). This vitamin assists the body in deriving energy from food. If you haven’t been eating much fish, poultry and non-citrus fruit lately, keep an eye on your levels and don’t ignore feelings of sadness or confusion. A vitamin B6 deficiency can also lead to frequent infections, anemia, and cracks around the mouth. As with folic acid, pregnant women need it to foster normal brain development in their babies. As many as 90% of us may be deficient in choline(9), a compound that is essential to memory, focus, and neurotransmitter health. Choline is water soluble, which means that your body cannot keep stores of it like it can when presented with fat soluble nutrients. As a result, a generous supply of choline-rich foods in your diet is necessary if you want to prevent a choline deficiency. Eggs are one of the best sources for this! A deficiency in vitamin B8(10) has many symptoms, among them reddening of the eye whites, or conjunctivitis. Other symptoms include brittle hair and rashes around the eyes. Dietary causes are usually not responsible for a B8 deficiency; the most common cause is that the body has become unable to properly absorb the nutrient. As you get older, make sure to incorporate lots of vitamin B8 into your diet. Many different vitamin deficiencies have similar symptoms, so don’t assume that any particular symptom can be attributed to lacking a particular vitamin. If you notice that you’re developing any of the above symptoms, talk to a doctor about what might be going on. The best way to prevent any of these is to make sure your diet includes a wide variety of fruits and vegetables.